Manchester's Native Youth defines confident, youthful style for men and women. Contemporary cuts meet a classic colour palette and luxurious fabrics in the brand’s clothes, which blend English heritage with bold global influences. Native Youth refreshes classic styles with innovative contemporary details. The British brand makes high-fashion clothing for men and women with an artistic use of colour and subtle prints. Trousers are given a rethink with ultra-wide cuts and crop lengths. Choose a flowing fabric and team with a blouse for an effortless work look. At the weekend, add platform heels and a crop top for style that's perfect for nights out. Men’s outerwear is given an overhaul with luxurious fabrics. Pick a classic Harrington jacket in soft suede and team with chinos and boat shoes for a polished preppy look. Timeless and versatile, with innovative details, there’s no place Native Youth designs won’t go. 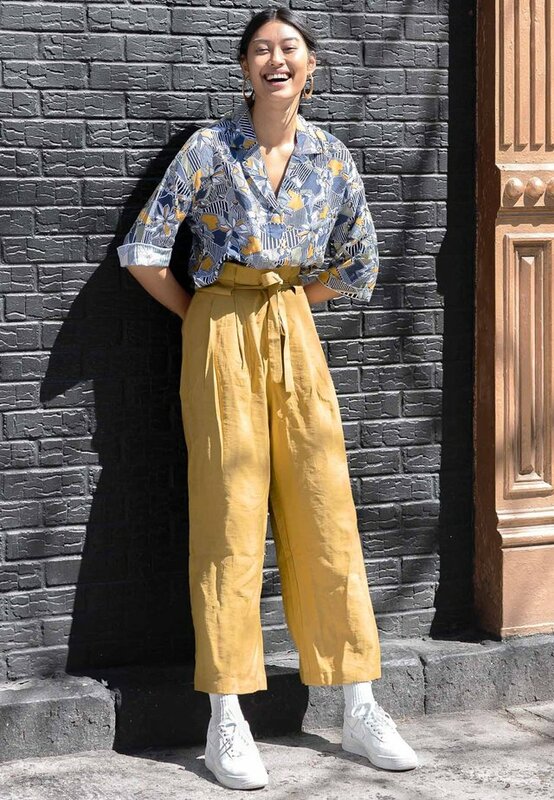 Choose a loosely fitted jumpsuit and pair with ankle boots and a wide-brimmed hat for a stylish, festival-ready look. Wear with a cargo jacket and switch your boots for wellies when the weather turns a bit British. For work, try tailored trousers layered with a fitted V-neck jumper: sleek white trainers add an offbeat, sporty touch for informal offices. Or swap the jumper for a blazer when you need to make a big impression. Casual coffee meeting in the diary? Layer a roll-neck jumper over a jumpsuit to channel beatnik style. Heeled ankle boots will take this style from desk to dance floor - keep accessories to a minimum to really nail the look.